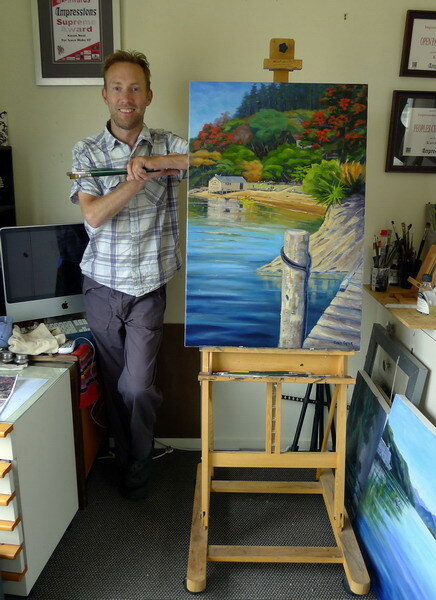 A large painting of Lochmara, which is situated at the top of the south island of New Zealand. 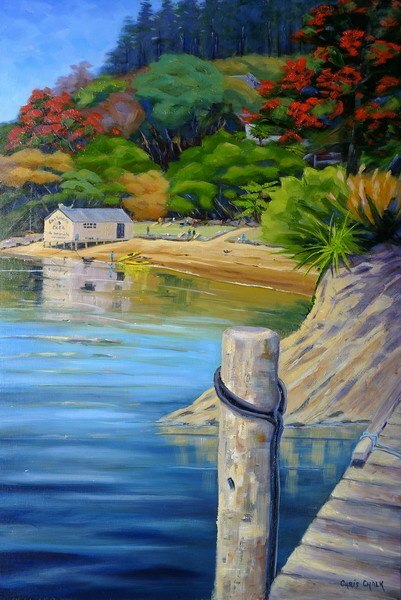 Lochmara is one of the jewels of the Marlborough Sounds, and set on the tranquil shores of the Queen Charlotte Sound. "There's a Hammock With My Name On It"